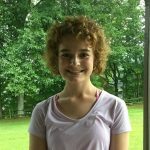 This weeks Blog Post was written by Emma O., a Gobblers Alumni! 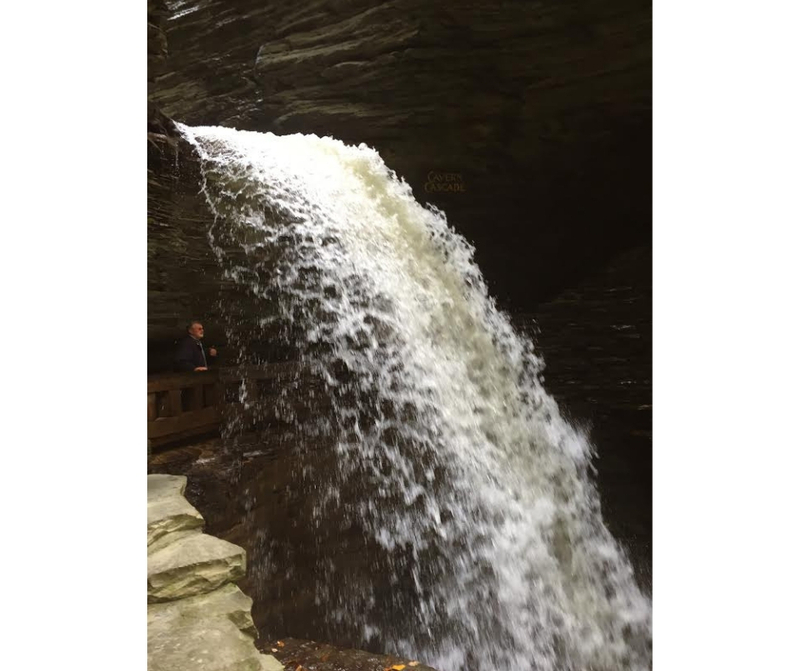 She describes a trip to Watkins Glen State Park, and the scientific history behind some of the amazing views there. In October, I had the pleasure of visiting the Finger Lakes in New York state. 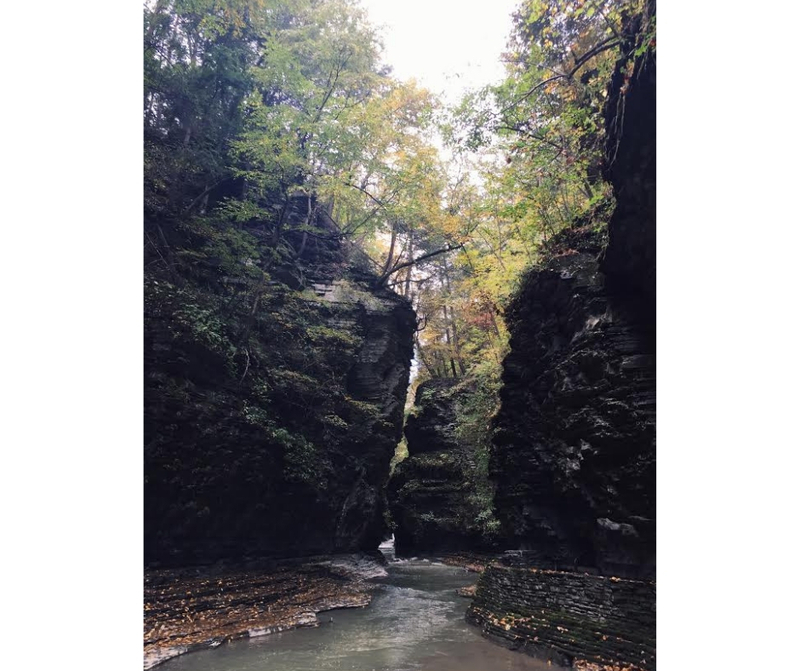 It was an excellent fall getaway with all of the colorful foliage and lake activities, but the most impressive part was hiking at Watkins Glen State Park by Seneca Lake. It was a stunning two-mile hike that displayed 19 waterfalls surrounded by 200-foot cliffs. Although I fully appreciated the plant life, wildlife, and, of course, gorgeous waterfalls, one component I noticed, in particular, was the interesting rock formations. The roaring water had etched beautiful designs into the rock surrounding everyone on the trail. One of the main geological effects of the waterfalls was cross-bedding. Cross-bedding is defined as layers that are positioned at an angle to the horizontally-layered rocks. These different layers are caused when water carries sand or other small particles along with its natural movement. When enough of these particles accumulate, a pile of sediment collects. Once the pile becomes high enough, it will tumble to one side. This shift causes a new, slanted rock layer. It makes sense that I would see this formation at Watkins Glen State Park, because it is not uncommon for waterfalls to carry a lot of sediment. Another interesting geological process that I observed at Watkins Glen was the waterfall receding. Waterfall receding is caused by massive erosion at the base of a powerful waterfall. A “rock shelter” is created behind the waterfall, which is basically just a hollow space. This outcropping can easily become unstable, as it is continually receding. I had the opportunity of actually walking on the outcropping behind one of the biggest waterfalls, which was an amazing experience! 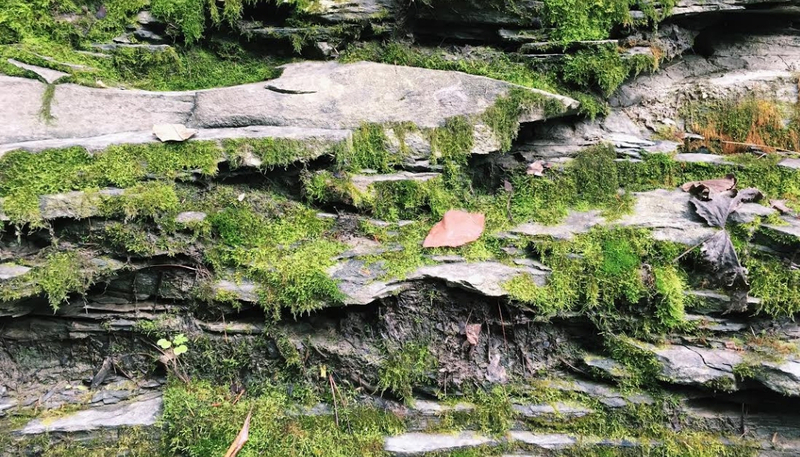 It is rare to find a physical example of such extreme erosion and geologic shift, so it was breathtaking to see the interesting (and beautiful) geological formations that Watkins Glen State Park had to offer. If you ever get the chance to go on a hike with waterfalls, keep an eye out for these processes. Once you realize the science behind them, it will make them even more meaningful!